Bull. Soc. Mycol. Fr. 50: 18. 1934. Cap 0.5 - 2 cm broad, convex to planoconvex with a depressed center; surface smooth, orange-brown to yellow-brown with a striate margin. 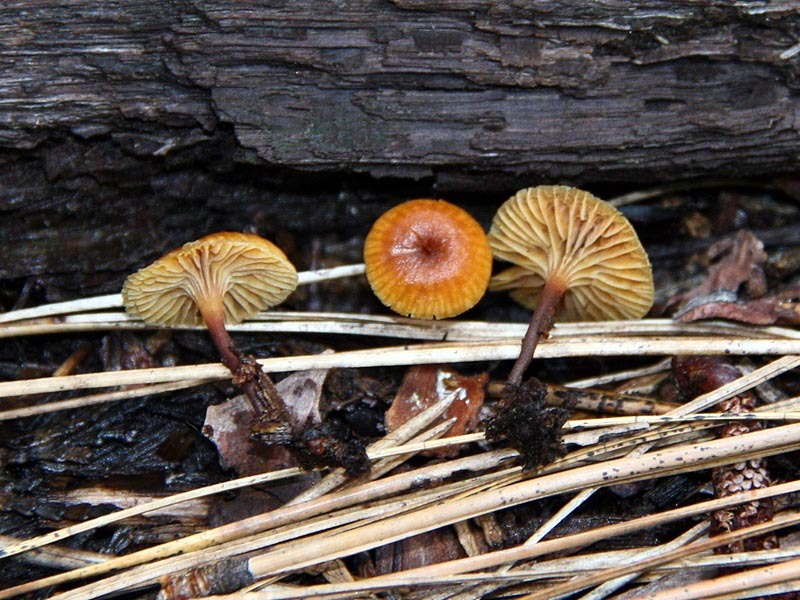 Gills bright yellow to orange, decurrent, widely spaced, intervenose. 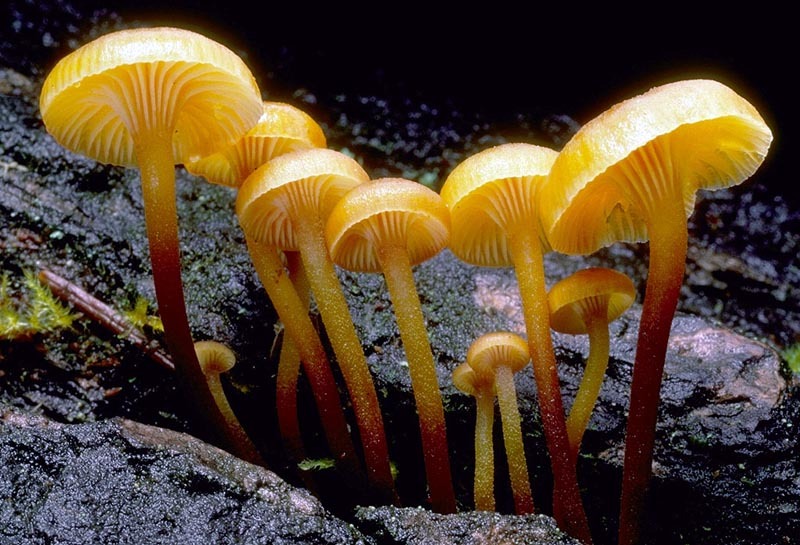 Stipe 1-4 cm long, 0.5-2.5 mm broad, round in cross section, equal; smooth, tough, polished, yellowish above, reddish- brown below with yellowish-brown hairs at the base. Spores 5-8 X 3-4 µm, elliptical, smooth, amyloid. Spore print white to pale buff. 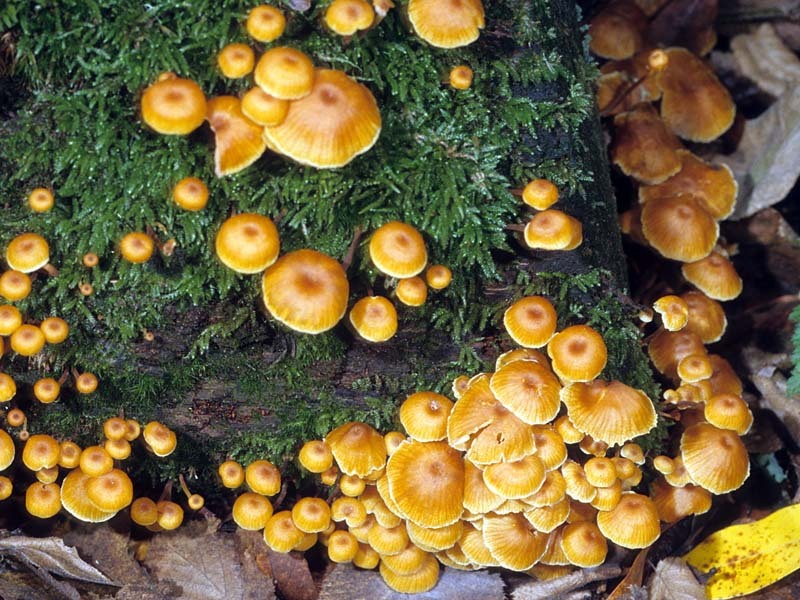 Densely gregarious to clustered, on rotting conifer wood, fall, winter, and early spring. 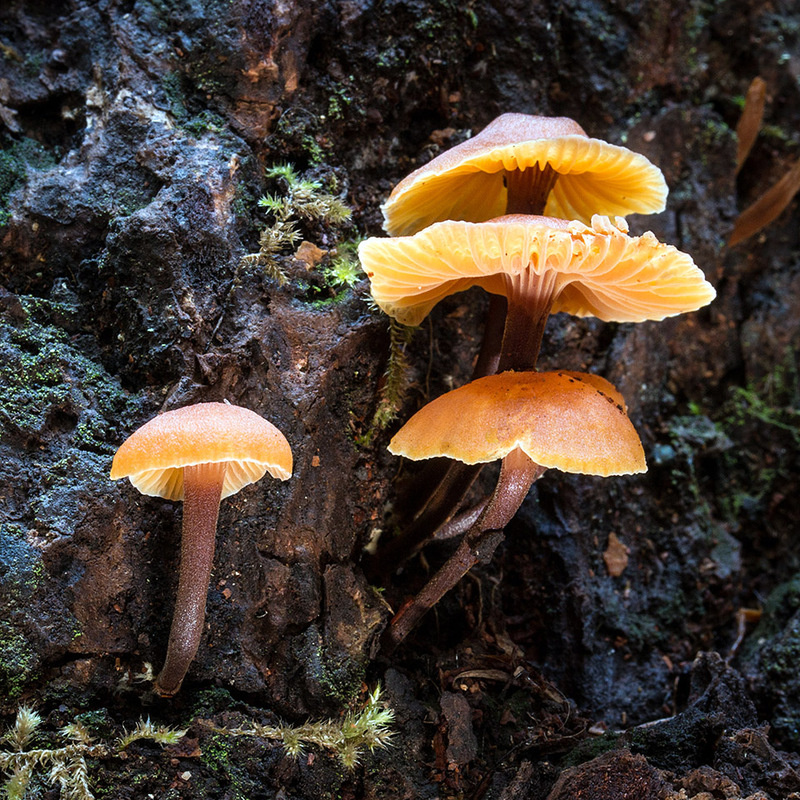 Xeromphalina campanella is very common in our coniferous forests. 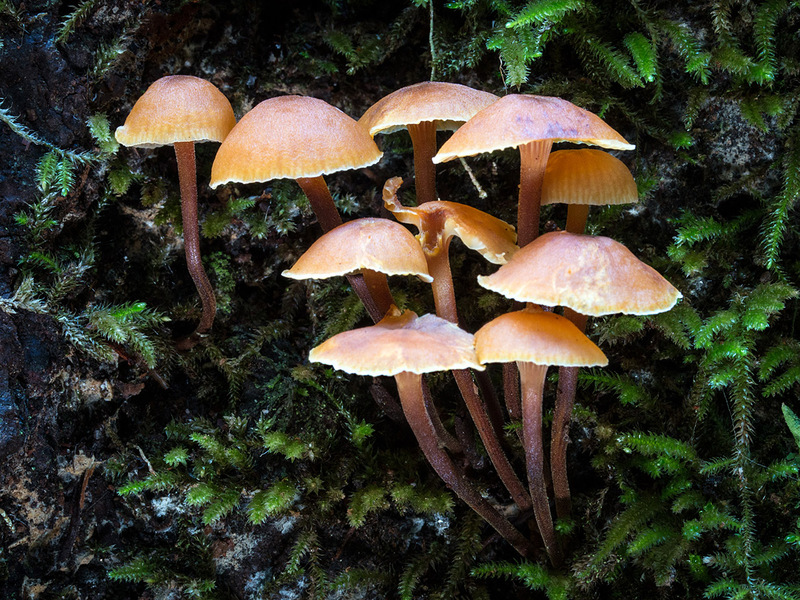 Its coloration, cap shape, decurrent gills, tough thin stipe, absence of an annulus, habitat, and amyloid spores distinguish this species from similar fungi. Hygrophoropsis aurantiaca is similar in color, but larger with dichotomously branched decurrent gills and dextrinoid spores. 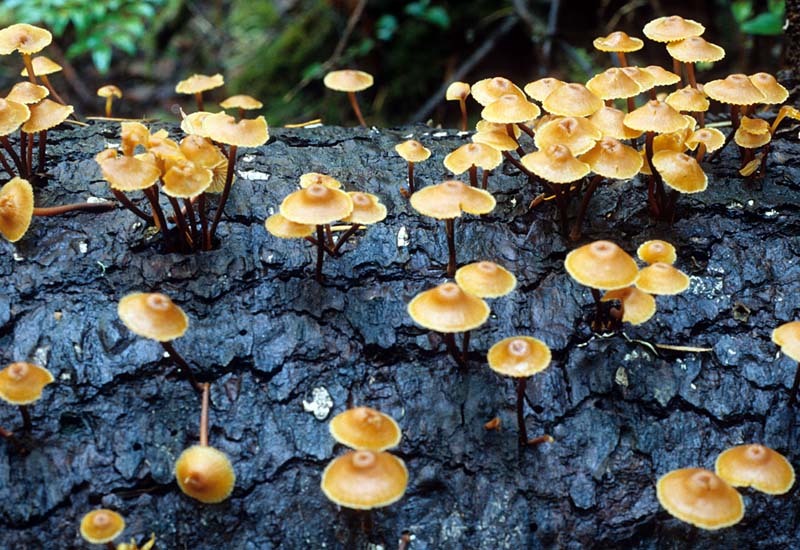 In our area it tends to grow on wood chips. Antonín, V. & Noordeloos, M.E. (2004). 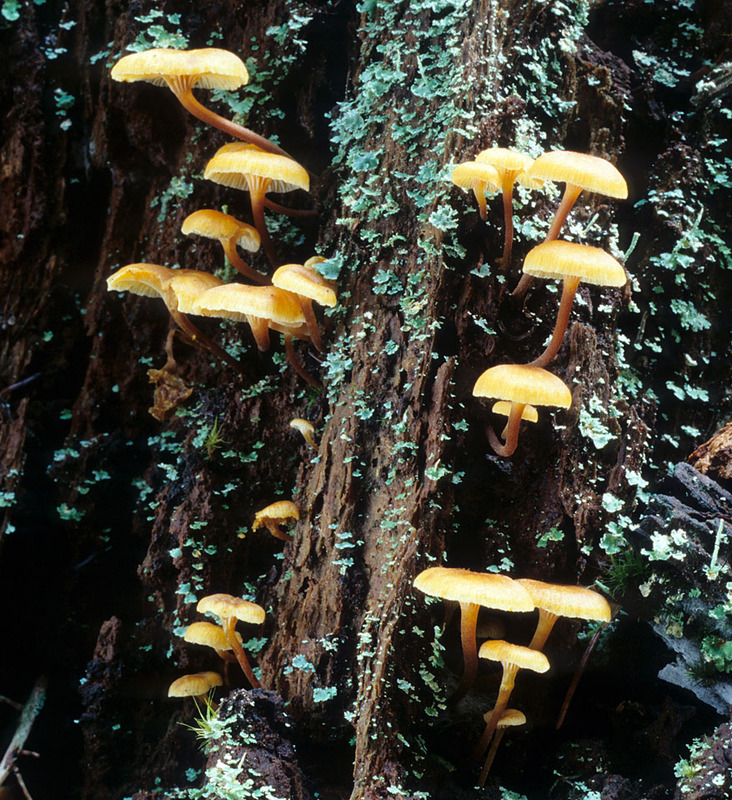 A monograph of the genera Hemimycena, Delicatula, Fayodia, Gamundia, Myxomphalia, Resinomycena, Richenella, and Xeromphalina in Europe. IHW Verlag: Eching, Germany. 279 p.
Miller Jr., O.K. (1968). 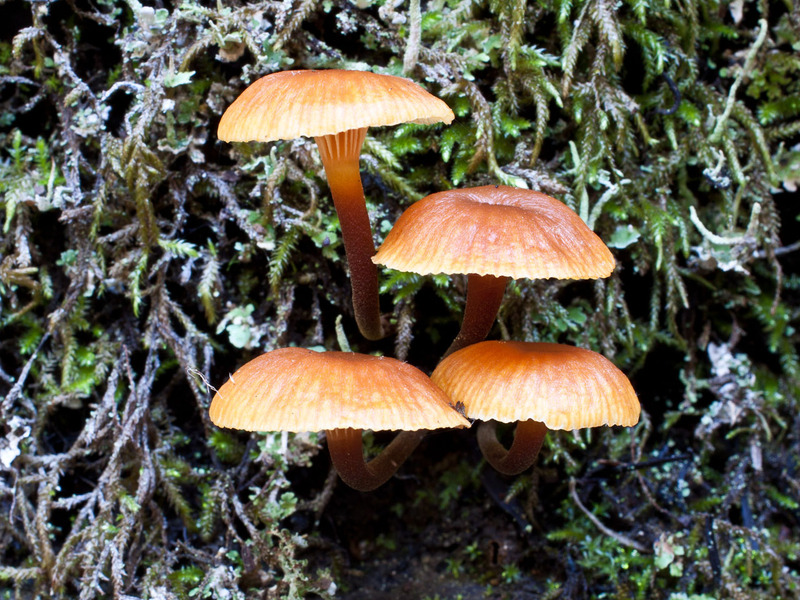 A revision of the genus Xeromphalina. 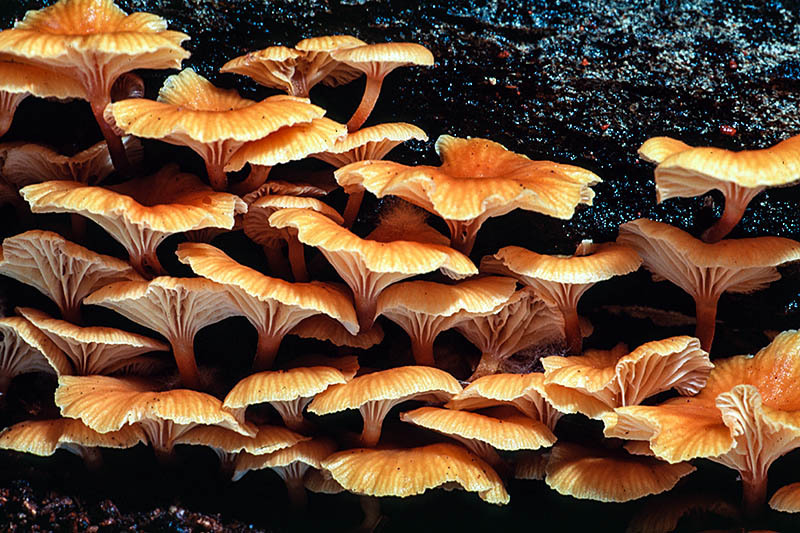 Mycologia 60: 156-188. Watling, R. & Turnbull, E. (1998). 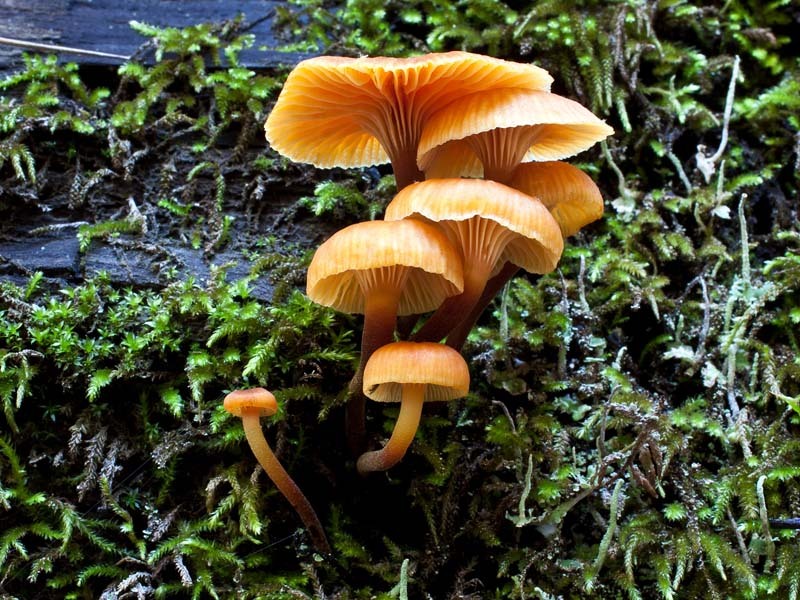 British Fungus Flora: Agarics and Boleti. Vol 8. Cantharellaceae, Gomphaceae, and Amyloid-Spored and Xeruloid Members of Tricholomataceae (excl. 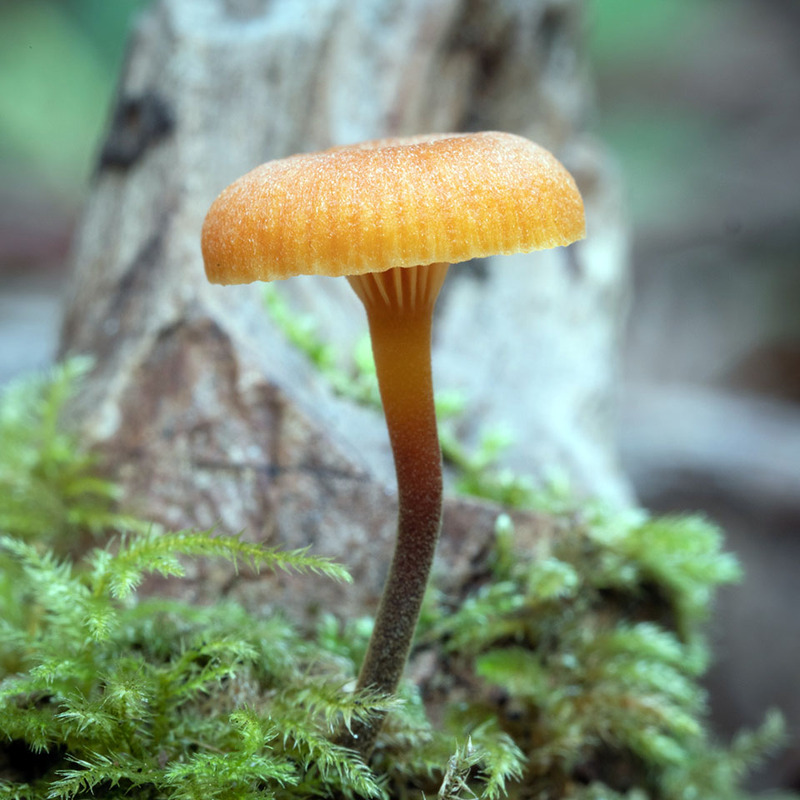 Mycena). Royal Botanic Garden: Edinburgh, Scotland. 189 p.